While it may seem that you can DJ anywhere at anytime as long as you have the proper DJ speakers, mixer, controller, and other equipment, this is not necessarily true. When you set out to become a DJ, you should learn the nuances of the policies within the area in which you hope to perform. Some areas may require a DJ license, while others may not. By the end of this article you will have a better understanding of how to take your DJing talents to the next level by earning the ability to perform live. This article will discuss the logistics behind DJing and what all you need to be a success. Know the laws and policies of the location in which you are playing. If you are going to be DJing in the United States, you will most likely be able to forgo obtaining a DJing license. 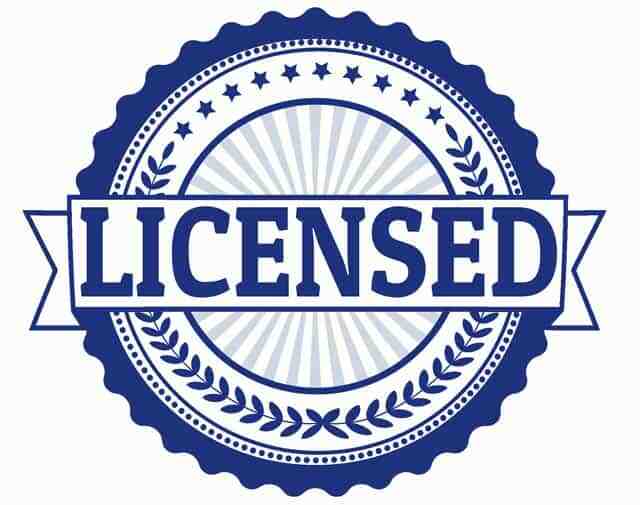 In the US, a venue, bar, or club is required to hold a public performance license with the BMI, ASCAP, or SESAC. or BMI for short, is the organization that collects royalty fees on behalf of singers, songwriters, producers and others. or ASCAP is comprised of thousands of members who work in the music industry. is an organization that advocates for the rights of performers. is an organization that is also worth mentioning as they collect royalties for the DIgital usage of music. SoundExchange holds a digital license that allows them to stream music with Pandora, Spotify, or Siriusxm radio for example. Royalties are then passed on to the singers and songwriters. While the US doesn’t require a DJ to hold a license as the venue is required to do so, that does not mean that all countries operate this way. The best advice is to be sure to check the policies and legal requirements in the area in which you will be performing so that you can be prepared. Copyright laws protect the singer and songwriter from the over distribution of songs done so in a manner in which can be considered “stealing.” For example, in the late 1990s and early 2000s, Napster and Limewire were ways in which people could share and download music from one another without having to pay for the rights to the music. This became quite a problem for the music industry as music was being distributed widely around the world for free. The best way to avoid any legal ramifications the next time you are spinning on your DJ mixer, is to ensure that you own the rights to the songs that you are playing. In addition, if you plan to copyright your own music, be sure to fill out the proper paperwork with copyright.gov. The cost is $40 and it will be well worth your investment if you hope to produce tracks. It can take a great deal of time for everything to go through but just being able to prove that you are part of the process to receive full copyright ability will go a long way. If you are playing your own tracks during a live gig, you don’t have to worry much about this. However, if you plan to play tracks by your favorite DJ’s, you will need to make sure that you are paying royalties appropriately. Royalties are paid to organizations such as those listed above, BMI, ASCAP, or SESAC. This may seem like a “no-brainer” but in all actuality, remaking an artist’s work happens more than you might realize. In fact, a famous case that draws attention to this exact issue is that of Danger Mouse. Danger Mouse took some of Jay-Z’s work and remixed it without asking permission first. Public statements were made and a legal battle ensued but was not persisted. The lesson here is to always make sure that you not only have an artist’s approval but also the approval of the powers that be that actually own the song. This way you can avoid any legal ramifications and keep your reputation clean from any potential shady dealings. There is much to learn when you become a professional DJ and taking into consideration legal ramifications, licensing, and copyright details is very important to have a successful career. BestDJStuff.com is a participant in the Amazon Services LLC Associates Program, an affiliate advertising program designed to provide a means for sites to earn advertising fees by advertising and linking to Amazon.com.